Emory Saint Joseph's Hospital cardiothoracic surgeon Douglas Murphy, MD has achieved a world record after completing his 2,000th robotically assisted mitral valve surgery. Murphy is a pioneer in the field of robotics, performing the state's first robotic heart surgery at Emory Saint Joseph's in 2002. "Dr. Murphy is one of the world's most experienced and innovative robotic heart surgeons," says Robert Guyton, Distinguished Charles Ross Hatcher, Jr., Professor of Surgery and Chief, Division of Cardiothoracic Surgery, Department of Surgery, Emory University School of Medicine. "This outstanding career achievement is a reminder of all he has done to advance the field of robotics and give thousands of heart patients less invasive treatment options." Prior to this groundbreaking achievement, Murphy was an early advocate of minimally invasive cardiac surgery. He successfully led one of the first U.S. cardiac surgery teams as the principal investigator in clinical trials using the Intuitive da Vinci® Surgical System for atrial septal defect repair and coronary bypasses prior to FDA approval. Because of his achievements, Emory Saint Joseph's was named the exclusive cardiac southeastern training center for the daVinci system in 2004. Since that time, Murphy has trained surgical teams around the world in the LEAR technique (Lateral Endoscopic Approach using Robotics). The technique, developed by Murphy's team, allows open heart surgery to be performed through five small holes in the right chest. Murphy has published many scientific papers on the use and success of robotic cardiac surgery. One of the most experienced and innovative robotic heart surgeons in the world, Murphy remains active in performing, researching and teaching robotic heart surgery. "Patients appreciate the less invasive aspect of the LEAR technique with its fast recovery. The driving force for LEAR surgeons, however, has been the ability to perform state-of-the-art cardiac procedures with very low complication rates," says Murphy. Murphy received his medical degree from the University of Pennsylvania School of Medicine, followed by the completion of his internal medicine and general surgery residencies at Massachusetts General Hospital. 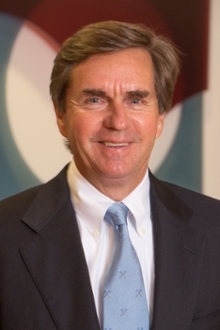 After completing his cardiothoracic surgery fellowship at Emory in 1983, Murphy joined the Department of Surgery faculty and established the Emory Cardiac Transplant Team. In 1987, he was appointed director of cardiac transplantation at Saint Joseph's Hospital, and performed the facility's first heart transplant that year. Murphy also chaired the Heart and Vascular Institute from 2007 to 2009. Murphy, an associate professor of surgery at Emory University School of Medicine, currently serves in two roles at Emory Saint Joseph's: as the chief of cardiothoracic surgery, a position he has held since 1995; and since 2010 as the director of robotics.